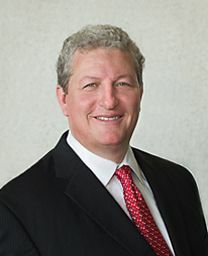 During his career with Brown Sims, Michael Varner has proven valuable to our clients for his steadfast attention to their interests from pre-trial to a possible appeal. Among the many legal areas that he works, Mr. Varner handles appellate matters in ways that have long-term positive effects on the business of our clients. Not long ago, he was involved in an appeal creating important law for enforcing arbitration agreements with respect to Jones Act seamen. A devoted family man, he spends most of his time away from the practice of law with his wife and children. post-graduate work in Eastern Studies at Johns Hopkins University and earned his Doctor of Jurisprudence from Texas Tech University School of Law in 1991. In law school, he was a Member of Law Review and a Moot Court Competition Semi-Finalist. Mr. Varner is admitted to practice before the United States Supreme Court, the United States Court of Appeals for the Fifth Circuit and the United States District Courts for the Southern and Eastern Districts of Texas. Admitted to bar: 1991, Texas; United States Supreme Court; United States Court of Appeals for the Fifth Circuit; United States District Court, Southern and Eastern Districts of Texas.